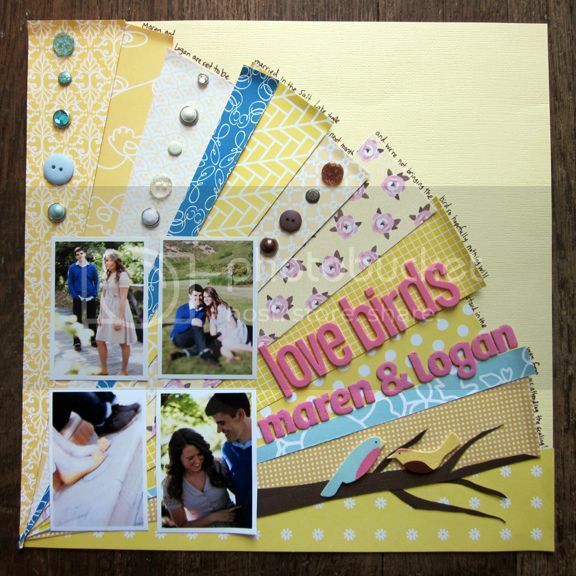 Here are the two layouts I made for my monthly American Crafts assignment. Tips: I've been watching Lois and Clark - The New Adventures of Superman on DVD the past week or so while I've scrapped. "Super" fun! I'm in charge of making their wedding book so I have access to their engagement photos. Must scrap a few of course! These are a couple of my favorite shots. I took the yellow from Maren shoes and went with that for the theme. 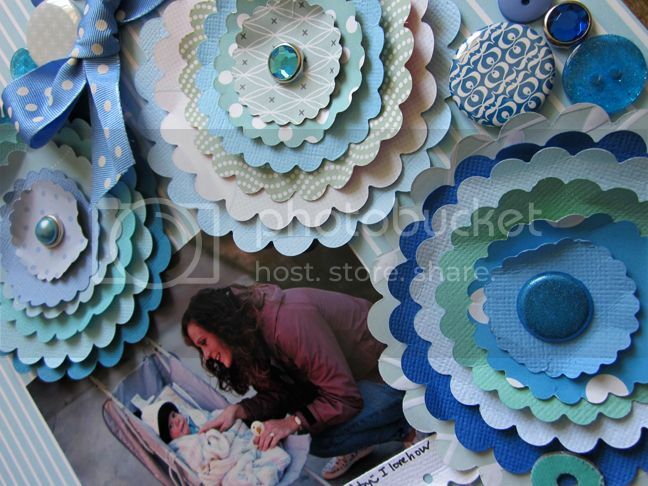 Tips: I went with an all blue monochromatic theme for this layout and die cut lots of concentric circles from cardstock and patterned paper for some flowers. I scattered brads, buttons, and badges around the flowers and tied a blue ribbon bow to embellish. Journaling says: Words can't describe how much I love this picture of my mom and little brother, but I'll try :) I love how young my mom looks. I love the smile on her face. I love the look of adoration in her eyes. I love Eric's little grin and how content he looks. This picture fills me with hope. It's almost like a glimpse into my near future. I hope I look at my son the same way my mom is looking at Eric. I hope we can be this happy and content together. I want to be just like my mom! I love, love, love the second layout! these layouts are lovely per usual. and those layered scallop thingies are totally CUTE!! I love these! 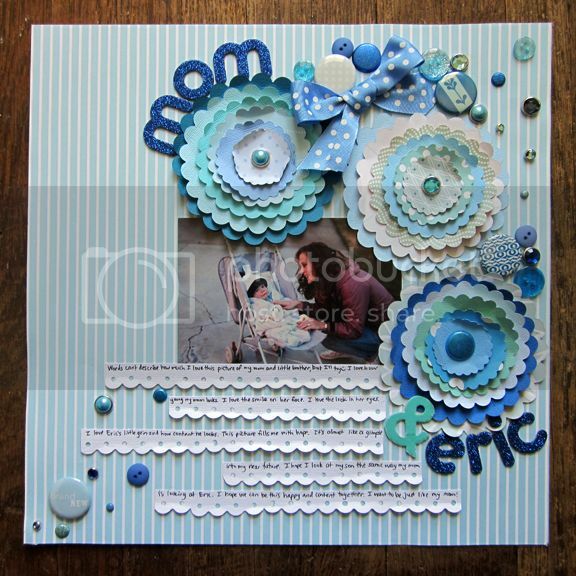 I love the touches of dimension and depth you made by curling up the ends of the radiating pieces of paper on the first layout!